THANK YOU Columbia for voting us as the BEST Jewelry Store! 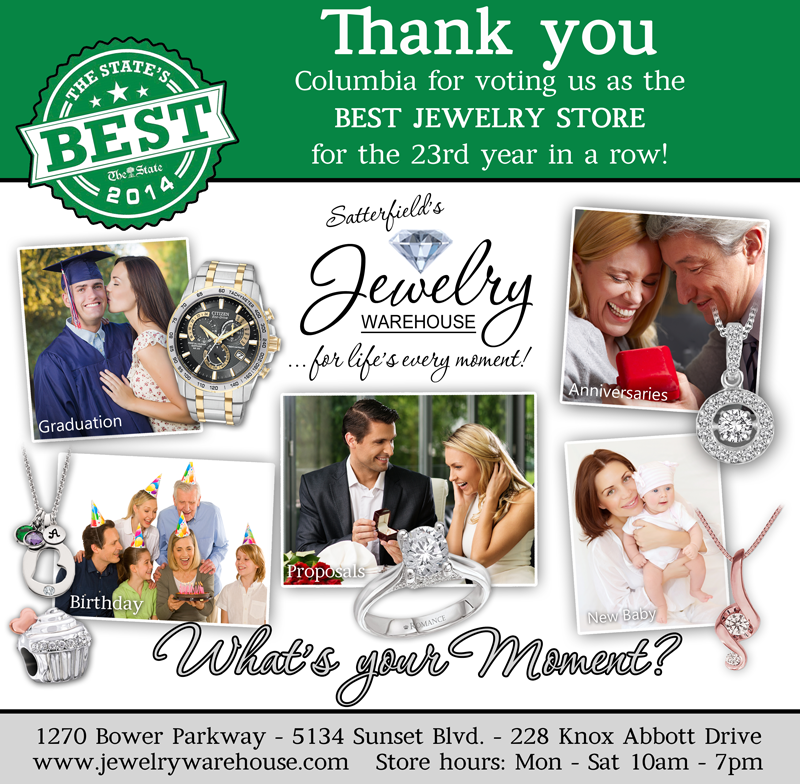 THANK YOU Columbia for voting Satterfield’s Jewelry Warehouse as the BEST Jewelry Store for the 23rd year in a row!! Offer expires Monday, October 27 @ midnight. This entry was posted in Jewelry, Jewelry News and tagged best jewelry store, best jewelry store columbia sc, columbia sc, jewelry warehouse. Bookmark the permalink.